The swooping fastback lines, wide stance, hideaway headlamps, and smooth grill are a recipe for beauty. Throw in bucket seats, a muscular V8 engine, and a rumbling exhaust, and now you'll understand why the Charger name lives on to this day. 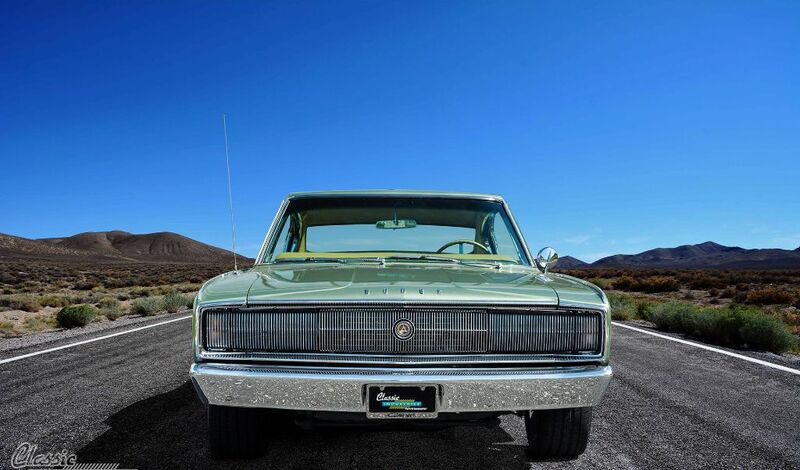 While sales of the first-generation Dodge Charger were relatively low during its two-year production run, we look back on this car today as a true classic. Fortunately, there are plenty of car guys and gals who share our feelings, and who have restored these vehicles to their former glory. 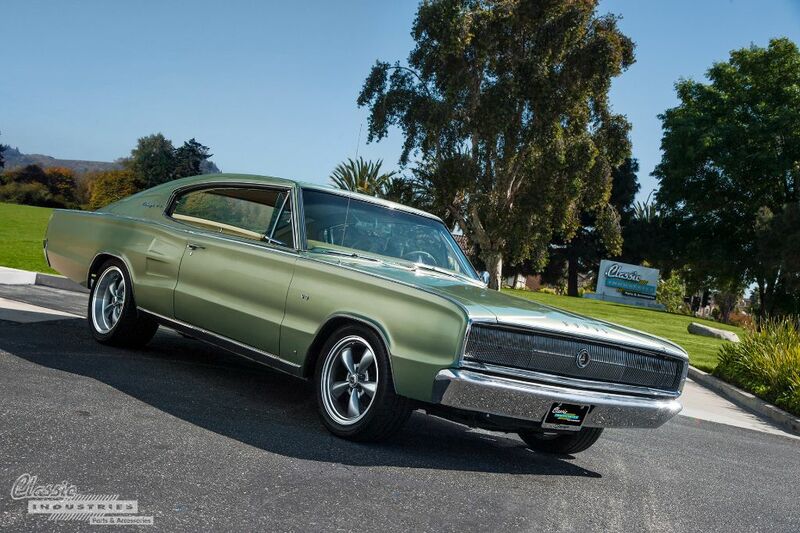 This 1966 Dodge Charger is owned by Chad Reid, of Costa Mesa, California. He bought it about a year ago and has been enjoying every second since. 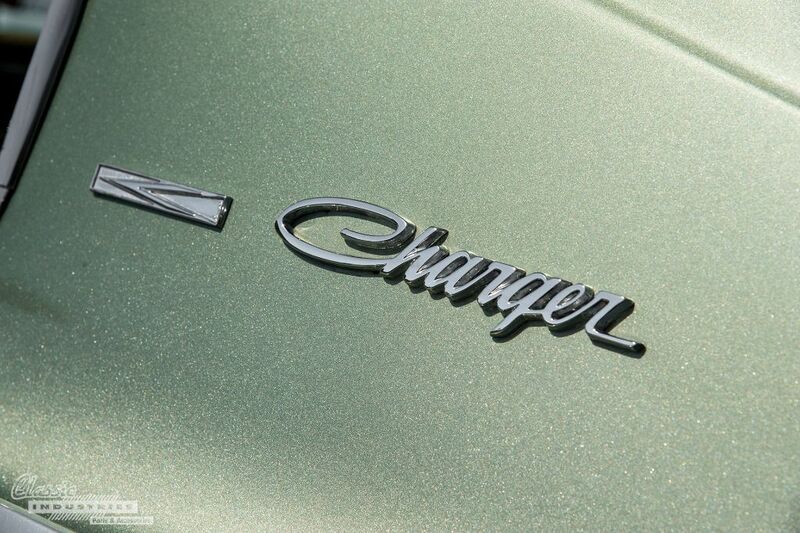 Chad's '66 Charger wears an elegant shade of metallic green paint, alongside fully restored emblems and chrome trim. The car has also been lowered slightly on a set of silver American Racing wheels and sticky Toyo Proxes tires. 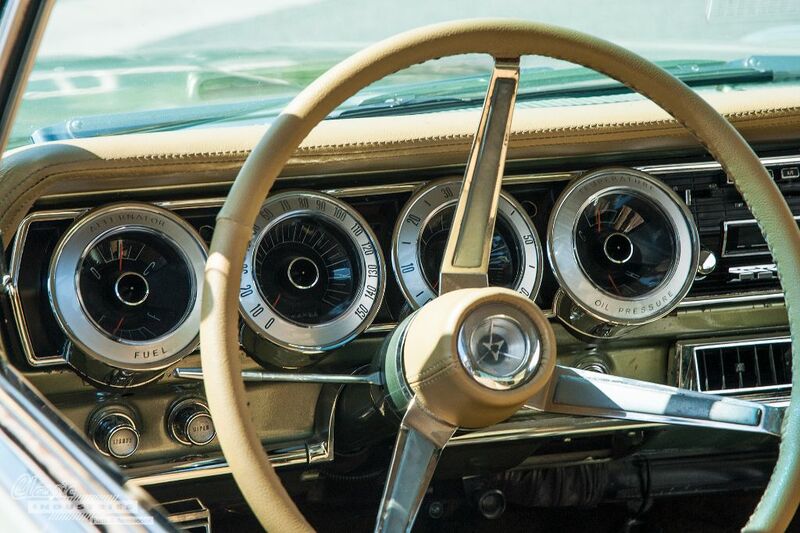 This Charger also features a fully-restored interior, with tan upholstery and carpet that look like they just rolled off the Dodge production line. Chad wanted his car to retain its original appearance in this regard. However, under the hood, it's a different story. 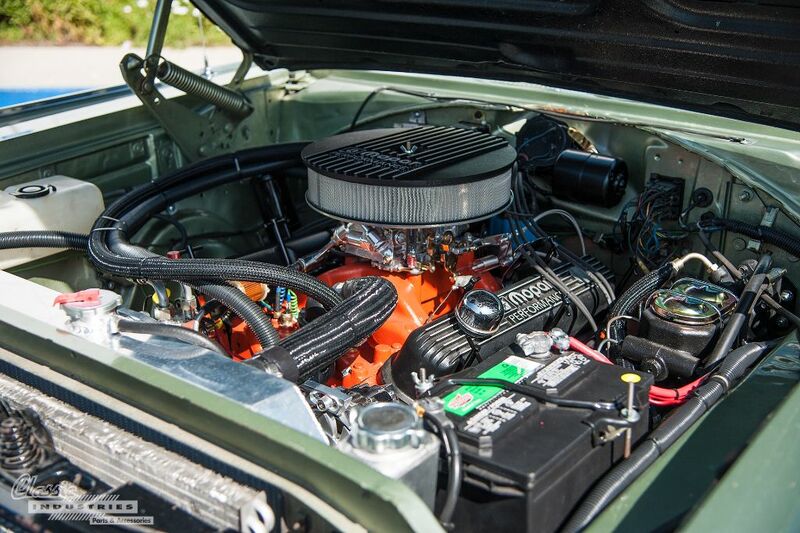 This 1966 Charger is powered by a 408ci stroker V8 crate motor, paired with a 727 automatic transmission. 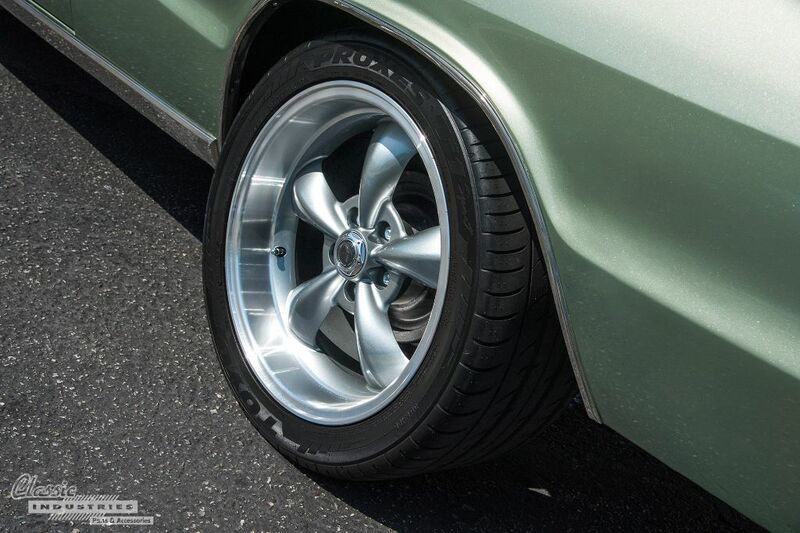 With this combination, the classic Charger has plenty of acceleration to rival modern muscle cars. 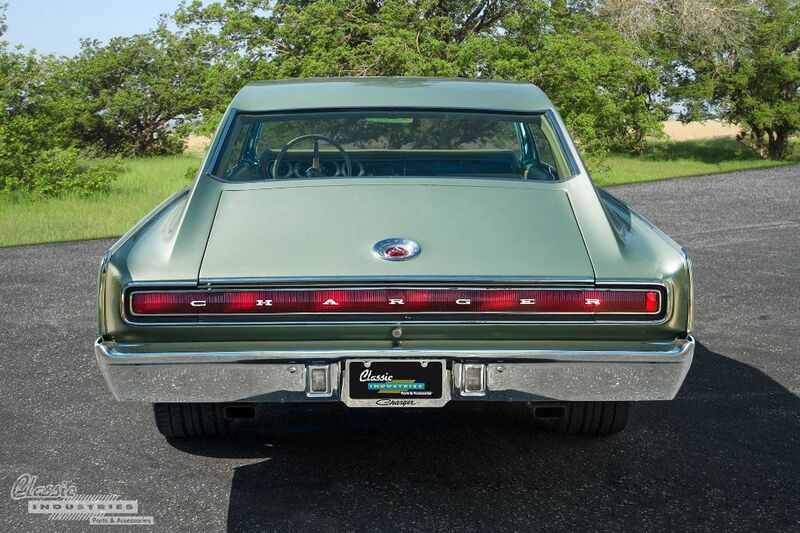 Chad's Charger is a beautiful example of the first year of this now-legendary model. He tells us he drives it on weekends and sometimes takes it out for a spin after a long day at work. Whenever he needs replacement parts, Chad stops by the Huntington Beach Retail Showroom to peruse our inventory, and many of the parts on this car are straight from the pages of our Mopar catalog. Speaking of which, if you've got a classic A, B, or E-body Mopar car, click the button below to get your free Mopar restoration parts catalog.